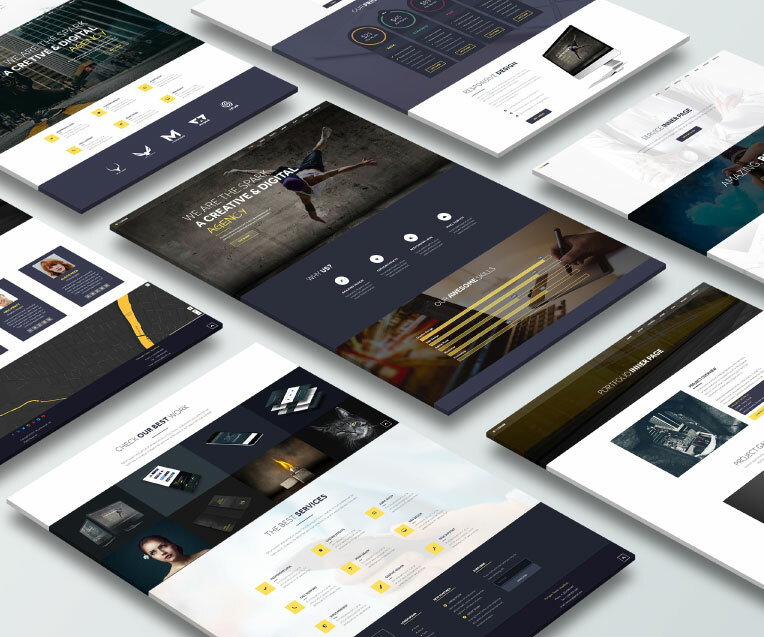 A slick, playful, responsive Adobe Muse theme bringing the latest web design styles to your project. The Spark Muse Theme is modern, urban and serious in the same time. It has so many awesome features like Responsive Layout, Awesome CSS Animations, Ultimate Scrollbars Widget, Animated Skill Bars Widget, Ultimate Muse Responsive Menu Widget, Back To Top Widget, Snazzy Maps Widget, Beautiful Hero Slider Images, amazing Responsive Portfolio. With Spark you can create awesome, modern, beautiful and a creative looking business websites. This Adobe Muse theme is the best solution for both corporate and creative projects. We chose stylish typography and made modern looking design that gives you the best possible look for your business. You can change colors, texts, objects or replace the images in a few easy steps. I used this theme with your filterable portfolio widget and it look awesome, good work. The Spark is the number one solution for any kind of business. This Theme is modern, urban and serious in the same time. It has so many awesome features like Responsive Layout, Awesome CSS Animations, Ultimate Scrollbars Widget, Animated Skill Bars Widget, Ultimate Muse Responsive Menu Widget, Back To Top Widget, Snazzy Maps Widget, Beautiful Hero Slider Images, amazing Responsive Portfolio. The Spark you can create awesome, modern, beautiful and a creative looking business websites. This Adobe Muse theme is the best solution for both corporate and creative projects. We chose stylish typography and made modern looking design that gives you the best possible look for your business. You can change colors, texts, objects or replace the images in a few easy steps. The Spark comes with all sections you need for you business: Main Composition Slideshow, About Us, Skills, Team, Service, Pricing, Portfolio, Contact, Portfolio Inner Page and Service Inner Page. See LIVE DEMO to see The Spark in action. MuseShop.net creates the ultimate line of Adobe Muse Templates and Widgets, Explore our shop for more cool Adobe Muse stuff, make sure to visit regularly for new items.